We are aware of the fact that the Scrum Master plays the role of a servant- leader who serves the needs of the Scrum Team. A Scrum Master doesn’t get involved with the development of project deliverables and lets the Scrum Team function on its own. A Scrum Master prepares the organization and the team members to adopt the Scrum framework to deliver projects successfully. 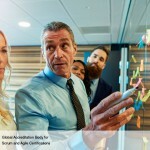 Apart from these responsibilities, a Scrum Master also has the ability to act as a change agent within the organization. Now, let’s see how. Collaborating with Scrum Masters of other teams in order to increase efficiency of the application of Scrum in the organization. 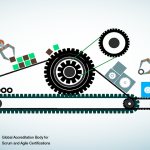 Scrum Guide or the SBOK Guide have not explicitly identified the Scrum Master as an organizational change agent, but according to many agile coaches, if any role has the capacity to bring a change in the system in an agile environment, then, it is the Scrum Master. Let us consider an example. 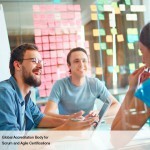 Scrum master, being a facilitator identifies several issues (that are to be addressed before the next Sprint. 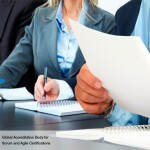 According to Scrum experts, Scrum Masters should report issues to members of senior management such as a CTO. However, we all know that accessibility to senior management in a timely manner can be an issue in itself. So, how can a Scrum Master address this complex situation? One way of addressing this is to set up a board or group of Scrum Masters working on different projects of the organization and gather information on all the issues each Scrum Master is facing. The problems they are facing may be the same or different and the trick here is not to cluster them but to try and ascertain the bigger picture of why the issues are arising. This process of identifying and collecting impediments then gets followed by a series of small discussions with team members in the form of a small group. Participants in the groups are the ones who hold a responsibility directly or indirectly towards the issue. Now by combining the views, you can escalate the matter to CTO or any decision-making authority. This way of escalating issues is especially recommended for organizations that have a hierarchical structure or a multi-layered organization. One of the major benefits of this technique is that organizations can enable their employee’s to voice their opinion about the existing organizational structure and system without any inhibitions. 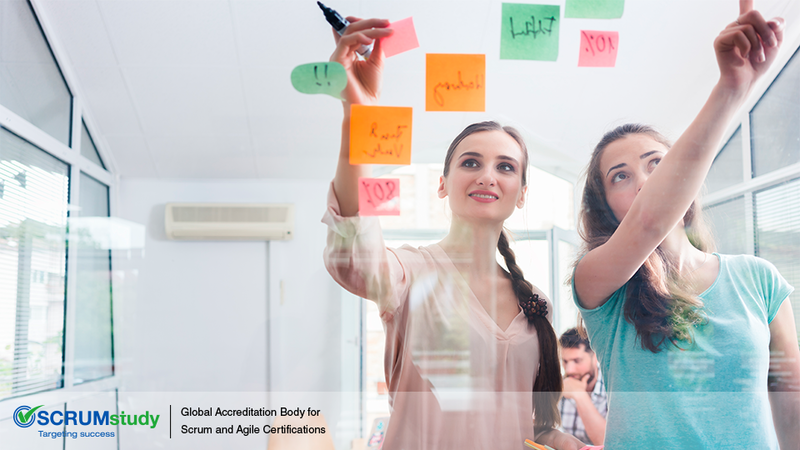 As per the Scrum guide, the Scrum Master is a facilitator who ensures that the Scrum Team is provided with an environment conducive for product development. 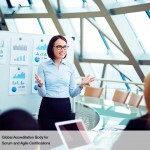 The Scrum Master should explore all avenues under his/her purview to enable successful project delivery. So, a Scrum Master should minimize all the hindrances that have the potential to reduce Sprint velocity. 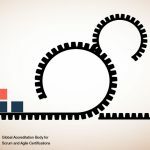 By acting as a change agent, the Scrum Master is only trying to ensure smooth coordination and countering a possible tunnel vision which is again nothing but a firm step towards achieving agility.